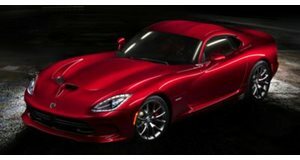 Dodge wants to remind buyers of the extreme for the Viper, so brought along a “1-of-1” 2015 Viper GTC to the Chicago Auto Show covered in a multitude of different hues on each side. The stunning finish is complemented by different colored alloys – black on the driver’s side, gunmetal gray on the other – and we assume the Viper on display boasts an equally distinctive interior. After all, in addition to offering 8,000 color options, 24,000 custom stripes, ten wheel options, and six aero packages, Dodge also has 16 interior trims to choose from. In fact, there's a total of 25 million possible combinations. This is just one of them. Those wanting a one-off Viper will have to stump up an extra $10,000, with a Viper GTC starting from $94,995 compared to the $84,995 for the base GT. That’s a small price to pay for exclusivity, right?